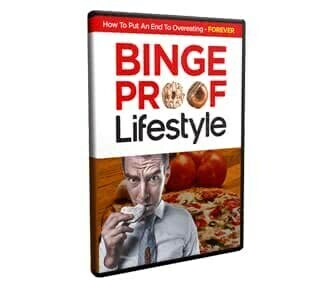 Binge-Proof Lifestyle - How To Put An End To Overeating! 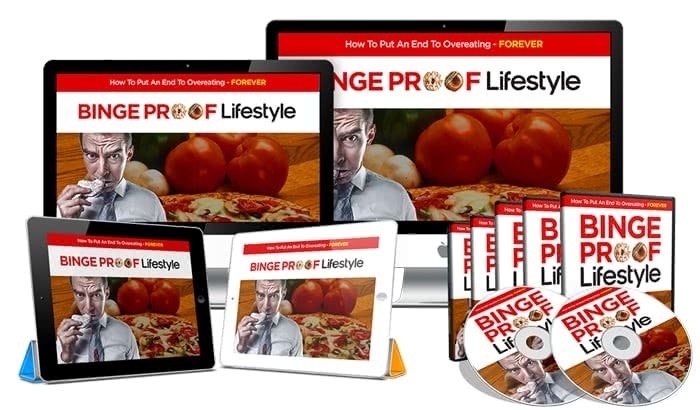 Follow the bing-proof lifestyle and learn the fastest way to cure food addictions while controlling your cravings and rid your life of overeating. Here’s How To Put An END To Overeating – FOREVER! More than 10 percent of the world’s population is now obese! And the key factor that contributes to this epidemic is overeating. If you feel like this then you need to stop whatever you’re doing and read this till the end. Sure enough, the Internet does offer short-term solutions, promising ‘magic pills’ and extreme diets that most likely jeopardise your health in long run – WITHOUT addressing the root of the problem. You’re About To Discover Effective Ways To End Overeating & Food Addiction For Good! You Get 10 Premium Quality Videos of Binge-Proof lifestyle! … And much more waiting to be uncovered inside! … And Change Your Life For The Better. So here’s your golden opportunity to learn the secrets to look good, feel great and live a healthy, robust life! It’s your chance now to free yourself from the food madness and upgrade your health. This checklist contains step-by-step guidelines for you to reap the most benefits from Binge-Proof Lifestyle. By simply breaking one huge topic into easy digestible chunks, you will get absolute clarity with the included easy to follow action steps! You will gain massive value from it and start adopting a healthy lifestyle to improve your well being! With just a glance, you will have a clear picture of what to expect and absorb SO much more than reading through Binge-Proof Lifestyle! A healthy, guilt-free lifestyle is here for you. Your health and life matters, so end overeating and binge-eating now – with minimal effort.